Agrasen ki Baoli, Ancient Step Well in the heart of New Delhi. Agrasen ki Baoli or Ugrasen ki baoli is an ancient step well, right in the heart of New Delhi, near Connaught Place. It is protected monument under the Archaeological Survey of India (ASI). Agrasen ki Baoli alias baori alias bauri, is 60 meters in length and and 15 meters wide. There is no historical evidence as to who originally built this magnificent step-well. It is believed that it was built by king Agrasen, the legendary king of Agroha. In the 14th century, this step well was rebuilt by the Agrawal community, which traces its origin to above mentioned kingdom. Agrasen ki Baoli has 108 steps,spanning over three layers. Each level is lined with arched niches, on the sides. Similar step wells can be seen in Gujarat. Rajasthan state has also a magnificent step well, with 3500 steps, across 13 stories! Agrasen ki Baoli was picturized in many movies, including the Bollywood blockbuster movie, PK with Aamir Khan in lead role. How Do I Go to Agrasen ki Baoli? Agrasen ki Baoli is situated on the Hailey Road, near Connaught Place and Jantar Mantar in New Delhi. Chapramari Wildlife Sanctuary is on the Himalayan foothills, at around 30 kilometers from Chalsa and Lataguri, in northern West Bengal. It is one of the best protected areas in India. Indian rhinoceros (single horned rhinos) can be seen here. Spread over 960 hectares of area, Chapramari Wildlife Sanctuary was declared as a reserve forest in 1895. It was made a Wildlife Sanctuary in 1949. It was declared as a national wildlife sanctuary in 1998, by the goverment of India. Teesta, the Neora, and the Murti rivers are the main rivers flowing through this wildlife sanctuary. Chapramari Wildlife Sanctuary is situated very close to Gorumara National Park. Other than rhinos, this wildlife sanctuary has a sizable population of elephants and Indian bison, along with deer, boars, and leopards. It is also a birdwatchers paradise. Green pigeons, Parakeets and kingfishers are seen in large numbers. Chapramari forest camp is being operated by the West Bengal Forest Development Corporation Limited. There is a railway line from Siliguri and Malbazar, which passes through the reserve forests. It is a big thereat to wild animals, especially elephants and Indian bisons. In 13 November 2013, a passenger train, hit a herd of 40–50 Indian elephants, killing five adult elephants, two calves and injuring ten elephants! How Do I Go to Chapramari Wildlife Sanctuary? Chapramari Wildlife Sanctuary is at around two hours drive from Siliguri, a major town in West Bengal. Malbazar Railway Station with station code MLBZ, in Jalpaiguri district is the closest railway station to the wildlife sanctuary. Chapramari Wildlife Park is closed from middle of July to middle of September, each year during Monsoon season. China has closed the base camp on its side of Mount Everest to visitors who don’t have climbing permits. Authorities have resorted to the unusual move to deal with the mounting waste problem at the site. The ban means tourists can only go as far as a monastery slightly below the 5,200m (17,060ft) base camp level. More people visit the Himalayan mountain from the southern side in Nepal, but over the past years numbers have been rising steadily on the Chinese side as well. The Chinese base camp, located in Tibet, is popular as it is accessible by car, whereas the Nepalese camp can only be reached by a hike of almost two weeks. 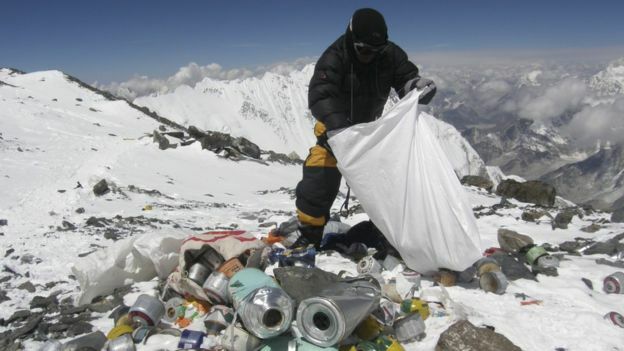 The world’s highest peak has been struggling with escalating levels of rubbish for years, as the number of visitors rises. The Chinese Mountaineering Association says 40,000 visited its base camp in 2015, the most recent year with figures. A record 45,000 visited Nepal’s base camp in 2016-7 according to Nepal’s Ministry of Forests and Soil Conservation. Ordinary tourists will only be banned from areas above Rongbuk monastery, which is around 5,000m above sea level, according to China’s state news agency Xinhua. Mountaineers who have a permit to climb the 8,848m peak will still be allowed to use the higher camp. In January, authorities announced that they would limit the number of climbing permits each year to 300. On Chinese social media, claims have spread in recent days that its base camp will be permanently closed to tourists – but Xinhua cited officials denying that. The official announcement about the closure was made in December, on the website of the Tibetan authorities. It stated that three clean-up operations last spring had collected eight tonnes of waste, including human faeces and mountaineering equipment climbers had left behind. This year’s clean-up efforts will also try to remove the bodies of mountaineers who have died in the so-called death zone above 8,000m, where the air is too thin to sustain life for long. Due to the cold and high altitude, these bodies often remain on the mountain for years or even decades. Source : The original article was written by BBC. It can be read here. Piplantri is a village in India, where villagers plants 111 trees every time a girl child is born. The local community ensures that these trees survive and attain fruition, as the girls grow up. Piplantri village is situated in Rajsamand district, Rajasthan, India. Planting trees when a a girl child is born, is unique to this village. Piplantri may be the only village in the world, known for planting a tree for the birth of a child. The villagers contribute Rs 21,000 collectively. The parents contribute Rupees 10,000. They deposit the total amount in a bank fixed deposit. The villagers also make the parents to sign a legal contract, which restricts them from marrying the girl child off, before she attains the legal age for marriage. Shyam Sundar Paliwal, the former elected village head, was instrumental in starting the birth tree initiative in 2006. He did so in memory of his late daughter Kiran. Neem, Mango, Amla and Sheesham trees are planted as birthday plants. This has helped the ground water level to increase. 2.5 million Aloe Vera plants were planted to keep the termites away. Aloe Vera is processed and marketed as a medicinal pant and this helped the villagers to increase their earnings. How Do I Go to Piplantri? Piplantri is at a distance of around 15 kilometers from Rajsamand. Rajsamand town is named after the Rajsamand Lake. Jaipur, the capital city of Rajasthan, is at around 330 kilometers distance from Piplantri. Gandhinagar, the capital of Gujarat, is at around 335 kilometers distance. Charbhuja road railway station is at around 30 kilometers distance. Nathdwara railway station is at around 27 kilometers distance. Mavli junction railway station is at around 53 kilometers distance. Khemli railway station is at around 64 kilometers away. Maharana Pratap Airport at Udaipur is the nearest airport at around 87 kilometers distance. Jodhpur Airport is at around 185 kilometers distance. Deesa Airport alias Palanpur Airport at Deesa, is at around 274 kilometers away from Piplantri village. 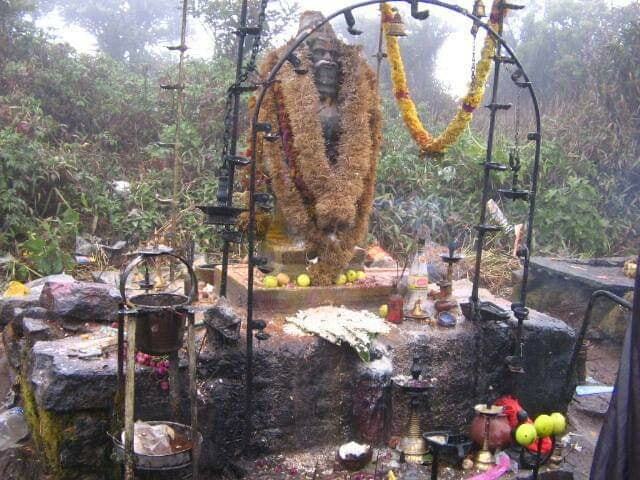 Agasthyarkoodam alias Agasthyamalai is considered as a sacred hill. In spite of the remoteness of these hills, determined devotees comes here. Trekking to Agasthyamalai and back takes two or three days (depending on your health condition) and the entry permits are issued every year in January. Statue of Saint Agastya alias Agasthya Muni on top of Agasthyarkoodam or Agasthyamalai. Photo courtesy – Laser Shine. Entry permits are normally issued during the first week of January for a few days. 100 passes are issued in advance, for each day. Another option to trek Agastyamala is to form a group of 10 people and apply for the entry passes at the Thiruvanathapuram district forest department office. This group permits are issued except during Monsoon season. During Monsoon season, it is is highly risky to trek to Agasthyamalai as the rivers gets flooded (at times Flash floods too). From 2019, ladies are also allowed trekking to Agastyamala. Dhanya Sanal became the first lady to trek to Agasthyamalai, officially. Dhanya trekked to Agasthyamalai in the middle of January 2019. There were reports of female devotees and tribal ladies, who used to go to Agastyamala earlier. Entry pass charges are rupees 1000 per person. Food is charged separately. It costs around 40 for the breakfast if its idly and 90 for puttu and Kadala as breakfast. Lunch costs rupees 70 and rupees 90 for dinner (Kanji in local language or porridge in English). Tea is charged at rupees 10. Camera is charged at INR 100. These rates or charges are as of January 2019 and is subject change. Please verify the rates by yourself. You are not allowed to carry plastic items, except for water bottles and lunch boxes. Such items are checked at the Bonacaud picket station (entry point to the trekking area) and rupees 100 or so is collected, as caution deposit. When you return to the Bonacaud picket station, you will get this money refunded, provided you bring back those items which were taken with you. You are not allowed to carry biscuits or other similarly packed food items. You need to open such packs and wrap it in a paper or put it inside your bag, to take them inside. How Do I Go to Agasthyamalai alias Agasthyarkoodam or Agasthyakoodam Trekking Base Camp? There are buses from KSRTC bus station at Thampanoor, Thiruvanthapuaram. First bus to the trekking entry gate at Bonakad, starts at 5 am. It reaches Bonakad picket station, where the forest office is situated in around two and a half hours time. The distance is around 55 kilometers. Next bus from Thampanoor is at 5.30 am. Those coming by bus has to get down at the old tea factory bus top at Bonacaud. Then walk for around three kilometers or so, to reach the Bonacaud Picket Station. You may also take your vehicle (two or four wheeler). Private vehicles can go to forest department office, i.e. Bonacaud Picket Station. Parking charges of rupees 40 and 100 are applicable for two wheeler and four wheeler, respectively. Bonacaud Picket Station (Bonakad forest office) is the starting point for trekking to Agasthyarkoodam or Agasthya malai. Day One – The base camp is at Athirumala, at a distance of around 15 kilometers from Bonacaud Picket Station. It is relatively easy to trek this distance. Around 10 kilometers out of the 15 kilometers or so, is plain country roads through forests. There are five camps (small sheds with one or two guides to give local information) in between Bonacaud Picket Station and Athirumala base camp, at around two kilometers apart. You need to stay at the base camp here, on the day one. There are two halls where you can put your mattress and sleep overnight. There is a separate area for ladies. On the second day, you need to start early in the morning. Trekking route passes through steep mountains and streams covering a distance of around six kilometers (one way). You must return to the base camp on the same day. i.e. on second day. If you start early and return early, and is in good spirits to trek back to the Bonacaud Picket Station, you can do so. In that case, trekking is completed on day two. Otherwise, you can stay at the base camp on the second day night. You can trek back to the Bonacaud Picket Station on the third day. Last bus from Bonakad towards the city is at 5.45 pm. This bus goes to Vithura. Vithura is at a distance of around 22 kilometers from Bonakad picket station. From Vithura, you need to change the bus to go to Thiruvanthapuaram, which is at around 34 kilometers distance from Vithura.